As an old timer-graduated in 1987 and from the teacher certification program in 1991, JMU was the best decision I have ever made. It seems like little has changed on campus in terms of the people-it was a country club school where middle class/upper middle class either chose to party-or not or chose to take the easy road with classes -or work really hard at it. As an artsy type I felt really comfortable here-students were very accepting of my not choosing to drink or get stoned, they just accepted you as a person regardless of your clothes, culture, money or your politics and there was no pressure to conform. At the time, the town was less run down—I went back this summer—Good Grief—I didn't know it was possible to have this town get MORE unattractive than 25 years ago! Luckily I did get to know the locals living off campus and hanging out and they couldn't have been nicer. There were actually places to hang out back then and those seem to have disappeared downtown which is such a shame. I still highly recommend "The Little Grill" which hasn't changed all that much in 3 decades. I read a lot of the reviews by the unhappy and it is the SAME old story I remember from the 80's…not enough classes for your major, crappy town. My experience at JMU gave me a perspective that I will always be grateful for-introducing me to people with different ideas, cultures and music which still influence me today. You HAVE to seek them out just as I had to find a niche 25 years ago. I did the Semester in Florence program and had my eyes opened about the US and it's place in the world; changed me in ways I can't even articulate. College is EXACTLY what you make of it…wherever you go, there you are and if you are an unhappy person that needs to be spoonfed your life, then you will be critical no matter what college you attend. If you want to find a party, you'll be able to find one. If you want to seriously study, you'll find people who feel the same way. 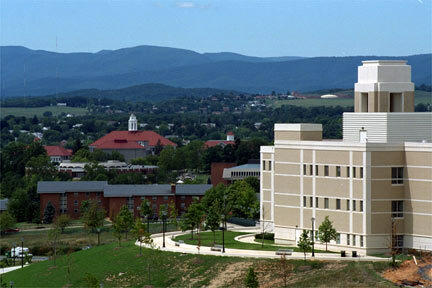 JMU has a good solid academic reputation-well deserved for most of us slightly above average students. It's not a pressure cooker like W&M nor a graduate program slanted school like UVA. I use the education I got there every day as an educator and before that as a designer-and that was PRE computer age. Great education, life changing in terms of perspective it gave me.